Ten local young musicians will be taking their musical talents to Madeira in February, in the return leg of an exchange programme with the Madeiran music conservatoire; the Escola Das Artes in Funchal. A group of Madeiran students and teachers from the Escola Das Artes visited Jersey last April to perform at various schools around the island and to play with the Jersey Chamber Orchestra in the Jersey Festival Choir’s easter concert. The exchange programme has been jointly organised by the Jersey Academy of Music and the Escola Das Artes, with the aim of strengthening the islands’ cultural links and providing educational opportunities for young musicians from both islands. The tour has been sponsored by the Jersey Arts Trust and the Parish of St. Helier, which is twinned with Funchal, and has received support from the Dorothy Chapman Trust, dedicated to supporting local young string players. A five day collaborative project will take place at the Escola Das Artes, joining together Madeiran and Jersey young musicians for rehearsals, coaching, and performances at various locations in and around Funchal. Accommodation in central Funchal has been provided by the Escola Das Artes, who will also be coordinating all the activities once the group sets foot in Madeira. In addition to the activities in Madeira, the tour will also incorporate a day at the Guildhall School of Music and Drama in London, utilising the link that the academy has now established with this institution. The group of young musicians will have the opportunity to spend a day at the Guildhall, experience music college life, observing lessons, rehearsals, and watching performances. That evening, the group will have the opportunity to attend a chamber music recital at the Wigmore Hall, one of the most prestigious classical music venues in Europe. The concert features an outstanding line up of international musicians, including Renaud Capuçon (violin), Gérard Caussé (viola), Gautier Capuçon (cello), and Nicholas Angelich (piano), who will be performing chamber works by Brahms, including his Violin Sonata No. 1 in G Op. 78, the Piano Trio No. 1 in B, Op. 8, and the Piano Quartet in C minor Op. 60. 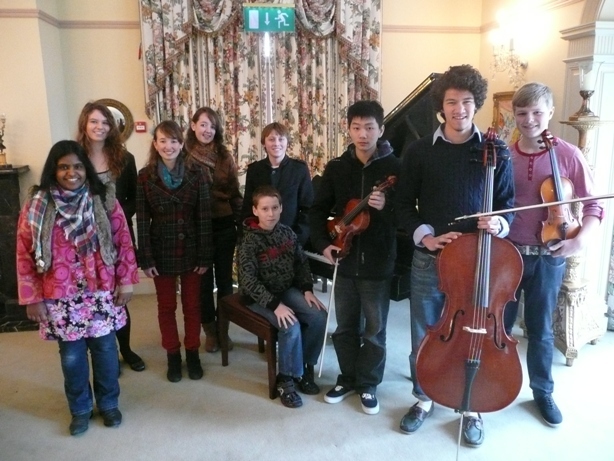 The Jersey Young Musicians Madeira Tour will take place from February 16th-24th.